The Stanbury splash took place on Sunday. 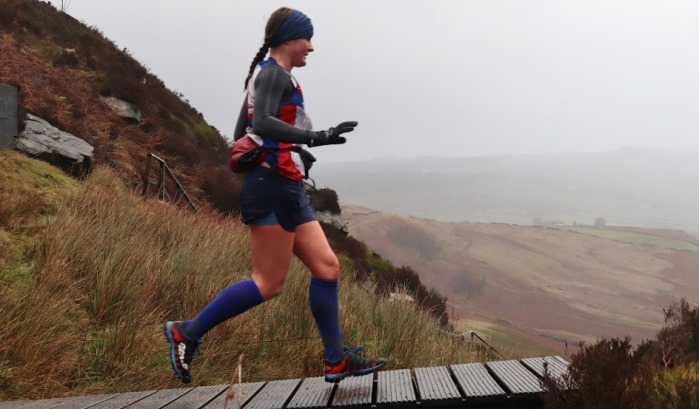 This B class fell race takes place above Haworth starting from Penistone Hill Country Park and captures the upper reaches of Ponden Clough and Stanbury Moor featuring 6.7 miles and 1200ft of climb. Before the main event, the juniors race took place. Todmorden Harriers had two competitors complete course. Great runs were had by both Will Pollard and Delilah Swift who finished in 40th and 44th place. In the Seniors race there were 254 runners in action with 3 Todmorden Harriers competing. Annie Roberts showed her pedigree once again finishing 2nd female in 55.50 just 1 minute behind female winner Holly Page of Calder Valley who finished in 54.49. The overall race winner was Robin Howie of Wharfedale Harriers in 46.41. Robert Howarth finished well within the top half in 67.51 for 112th position overall whilst Martin Roberts crossed the line in 74.22 for 171st place.